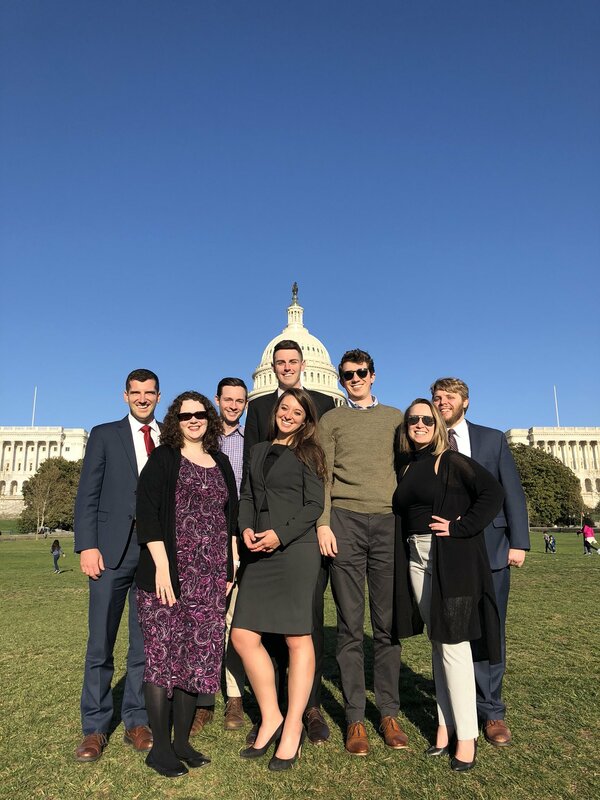 Law students Paul Madden, Ben Riggs, Richard Swor, Jake Beggin, Emmie Futrell and Sarah Sims represented Belmont College of Law in Washington, D.C. at the American Bar Association’s National Appellate Advocacy Competition April 5-7. Belmont’s team beat or out-ranked teams from Syracuse, Mercer, Brooklyn, Liberty, Barry, Capital, Case Western and Northwestern universities. Belmont Law placed 19th out of 182 teams from 108 ABA approved law schools throughout the nation.